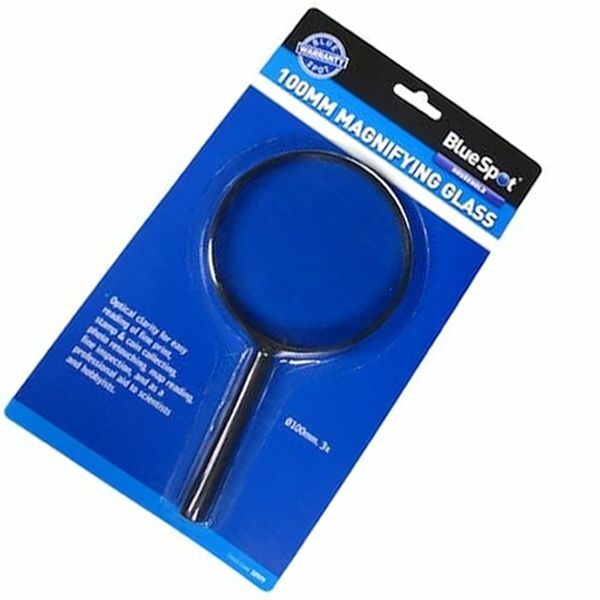 100mm (4'') magnifying glass from Blue Spot Tools. Lens diameter of the magnifying glass is approximately 100mm. Optical clarity for easy reading of fine print, stamp and coin collecting, photo retouching, map reading, fine inspection and as a professional aid to scientists and hobbyists. Lightweight, plastic body and a magnifying ratio x 3. Superb quality and value from Blue Spot Tools.